Mayor Serge Dedina wants the companies to pay the costs of moving schools and roads to higher ground. Imperial Beach coastline. (Photo credit: Dstana / Wikipedia). 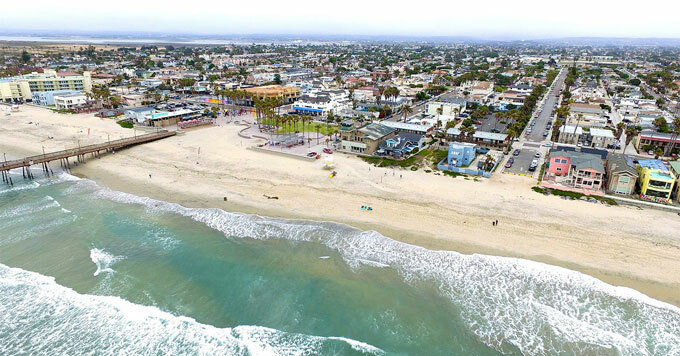 Just north of the Mexico border, the small coastal city of Imperial Beach, California, is already experiencing the effects of sea-level rise. Mayor Serge Dedina says that by the end of the century, up to a third of the city could face chronic flooding. This threat could cost the city hundreds of millions of dollars. Dedina wants the companies most responsible for global warming to help pay for these costs. So last year, Imperial Beach and two California counties filed state lawsuits against more than three dozen fossil fuel companies. It’s a legal process that could take years, but Dedina is resolute.